Every landlord has to deal with tenant eviction eventually. There are many reasons for it, the most common being non-payment of rent. Other reasons might include the tenants damaging the property, causing unreasonable disputes, violating the lease agreement, or the possibility that the tenant starts using the property for illegal activities. There is a tenancy termination notice, which must be provided to the tenant. Its name and the requirement of how it should be served upon a tenant may vary from state to state, but the idea is to give a written notice to the tenant to evacuate the property. Some states require that the tenant be served this notice in person, in others, you may simply attach the notice to the door of the property in which the tenant is living. Landlords can evict tenants in certain cases after issuing them a three day notice. The state law allows this notice when a tenant has failed to meet the terms of the rental agreement. In most cases, this notice can be served if the tenant fails to pay the rent. Other scenarios in which a three-day notice can be served is when the tenant is engaged in criminal activities. After the notice has been served, the tenant has exactly three day to make amends. Failure of which will lead to a complaint against him/her in the court. The landlord can evict the tenant even if they haven’t violated the terms of the rental agreement, but this is allowed in certain conditions. In such cases, the rental agreement must not have a set ending period, agreement is from month to month or week to week in these cases. The landlord must file a 30 day notice to terminate the tenant’s lease agreement when these condition apply. This gives the tenant 30 days to arrange for them to move. 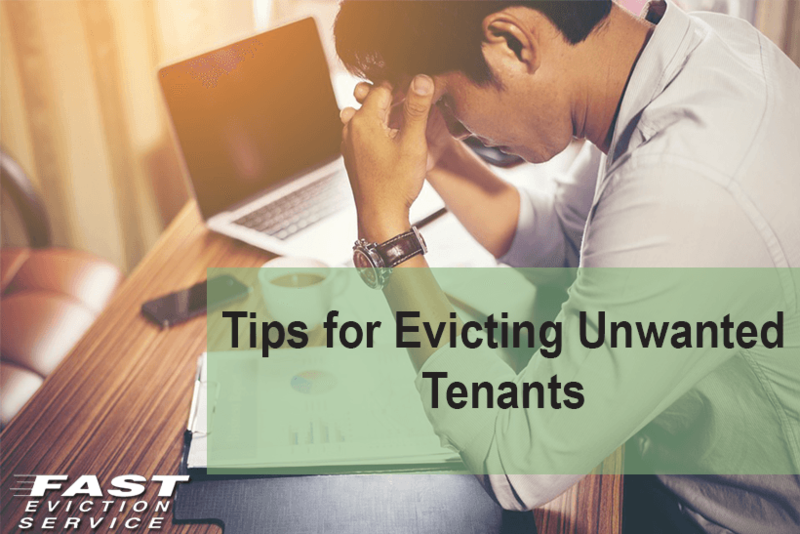 Failure by the tenant to vacate the premises in 30 days can lead to a legal complaint against them, which will start a formal eviction process. The tenant may choose to fight eviction in court. If the written notice has failed, and the tenant has refused to evacuate the property, you may approach the local court. Follow through with a warning and filing a complaint in your local court. This will require serving the tenant with summons and a copy of the complaint. This may carry some fees as well. Some states allow a jury trial, but most of the proceedings are held in front of a judge. The judge hears the reason for eviction and defense to eviction presented by both parties. The tenant is ordered to vacate the premises if the landlord wins.